Tesla Model S 90D protected with 9H Ceramic Coating. Red Multi-Coat Tesla Model S 90D - New Car Detail - 9H Ceramic Coating. 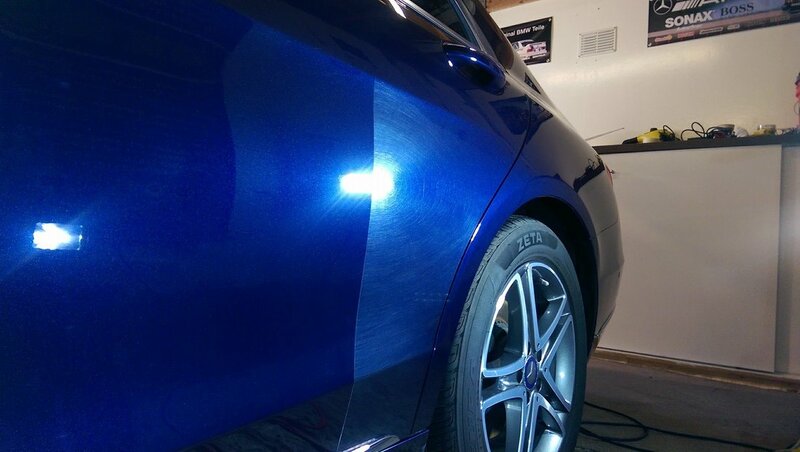 Mercedes during my Paint Correction process.